ENJOY these artistic selections that please our senses! 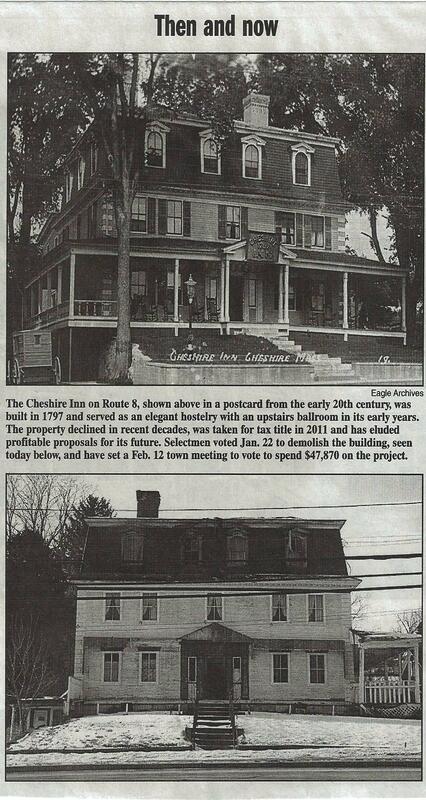 This article came from the Life & Arts Section of the Berkshire Eagle February 3, 2013. The contrast between this home with and without trees is stark! The following poem was written by Donald Blair - a gentleman I met early in my climbing days. I had purchased from his company and was influenced by the Oak/Euk Man peom which I've included below. I've had the pleasure of meeting and speaking with Mr. Blair at Shigo workshops and memorial. We were also attendees of the 1993 Arlington National Cemetery Day of Service. Below is his poem, I encourage all to take a few moments to read such a profound writing that really encapsulates the evolution of our industry. The blending of old ways and new, the progression, and the understanding of trees and associated work. Smoking, drinking and playing dice, they’d fight by the light of the moon. when the door burst wide, who stepped inside, but the Euc Man John McRoe. “Rebel Yell, without a glass,” is all they heard him say. “Who is that brute at the end of the bar, drinking whiskey like a fool? The Oak Man said, “You guys are clowns, and I think your tree work stinks! The Oak Man’s words were like a bomb that blew the room away. The Euc Men stood with drooping jaw, they knew not what to say. He knew the score, he knew these guys, he knew what Euc Men do. The patrons knocked the front door down in fleeing for their lives. The Oak Man stood in calm repose, taking in the scene. McRoe stood glaring over him…he’d never looked so mean. The Flush Cut’s dead, I promise you…on that you can depend. McRoe was sold, deep down he knew the Oak Man’s words were right. “Drop the clubs and stash the knives, tonight there’ll be no fight. We’ll come with you and learn the ways of Shigo and the rest. And when we’re through the world will know that Euc Men are the best! by a car, will stay the same, we will not change and we’ll always fight in bars. McRoe, the Euc Man decked our boy with a smash from his huge right hand. And as I leave you with this song, There’s one thing you should know. although the work is better now, a Euc Man’s hard to beat. The Oak Man tries to reason sense…The Euc Man’s more direct. This letter was taken from what was once known as the National Arborists Association (NAA) Reporter November Edition 1993. The NAA is now known as, TCIA - Tree Care Industry Association. Race Mountain Tree prides itself on donating our time and our services to the community and such events as this. 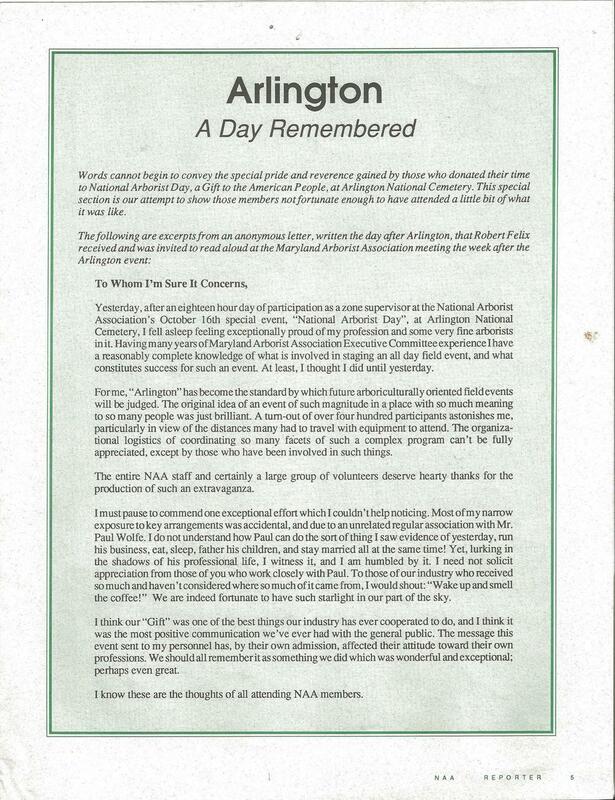 We were one of many tree care companies on hand that day October 16th, 1993 in Arlington.